The fuel of an economy — money, is used every day by almost everybody on the planet. However, vitally important though money may be, clearly defining what money is can often be the source of some confusion. This confusion is in part explained by digital finance expert David Birch — who argues that money — rather than being a static economic device; is instead a fluid concept that has changed over time to suit the needs of individuals and the societies they live in. Sadly, bottlecaps are not currently legal tender. In his book Before Babylon, Beyond Bitcoin David Birch offers a broad historical overview of this economic instrument. His underlying thesis is that changes in the usage of money have occurred because its previous incarnation became too inflexible. In the Middle Ages, metal coins — often made from gold and/or other precious metals; were supplemented by bills of exchange, designed to make long-term trading easier. In more recent times, credit and debit cards have replaced the need for cheques, Perhaps Bitcoin and other cryptocurrencies will replace the need for the debit and credit cards we are familiar with today. David Birch argues that money is on the verge of changing once again, and that like its predecessors, physical cash shall also be consigned to the dustbin of history. Indeed, the idea of removing physical cash is already prominent in large cities such as London and Dubai which have in recent years more or less become fully cashless. 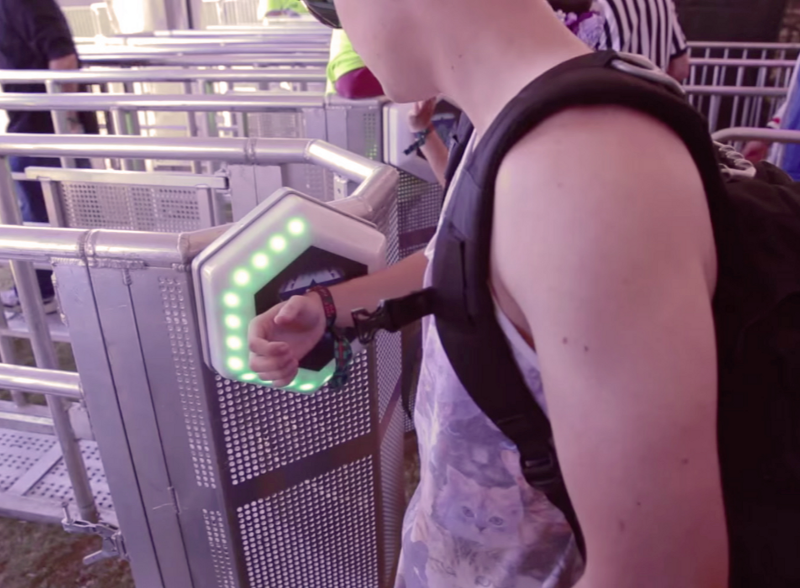 I myself experienced, on a recent holiday an entirely cashless amusement park. All goods and services at the “Land of Legends” resort in Belek, Turkey are purchased through a scannable wristband. To me, this evidences David Birch’s theory that the usage of money is transitioning, this time to mobile scannable devices such as mobile phones, or wristbands. Further evidence of this transition is to be found in Kenya where thousands of businesses including leading utility providers accept payments through a system known as M-Pesa, which is a mobile-based system. This system has been becoming so popular that it is estimated that more than two-thirds of the Kenyan adult population use it. Whilst this may look like a dystopian prison colony — it’s actually highly conveniant. Mobile scannable devices allow for a “frictionless” shopping experience, for example when hiring an Uber car there is no transaction with the driver because the app already has your credit card details; when you leave the car, you simply shut the door and then get an e-mail with an invoice. This same idea is currently being used in supermarkets. In a similar vein, the new AmazonGo supermarket uses your mobile device as a reader to record the details of your purchases — when you leave the store your Amazon account is charged. Only a decade ago this would have seemed a magical concept, unknown even to the realms of science fiction — yet these recent developments highlight the power of technological development and consumer convenience to transform money into exciting new incarnations. However, before these changes have come even close to being universal — an even more seismic change is on the horizon. As cryptoassets look to turn communities (nodes), rather than countries into the natural currency issuers of the future. These communities could be based on location — towns, cities, states, or on affinity groups — shared religions, belief structures, colleges, enthusiasms for sports teams — anything. As blockchain is a decentralised system, it means anyone could theoretically create a currency for any event or purpose. Whilst this, in theory, could produce millions of competing currencies, all with different values, it should not be a problem. The software in mobile devices and within the retailer’s payment system could instantly work out the correct exchange rate and adjust the bill accordingly. As any community would have the ability to issue their own currency, it also means that they would be able to create their own monetary and fiscal rules for that issued money. Whilst the temptation for some communities to constantly issue money may be great; those currencies might suffer from rapid depreciation and experience hyper-inflationary issues. Some currencies may be a lot less liquid (harder to get exchange/use) than others and there might even be a significant spread (the gap between the prices people buy and sell). If the spread was too large, retailers could be reluctant to accept such currencies, as it may lead to disagreements with consumers, especially in terms of refunds. Central banks may also be reluctant to lose control of the money supply, with all the potential adverse effects of economic management that would entail. 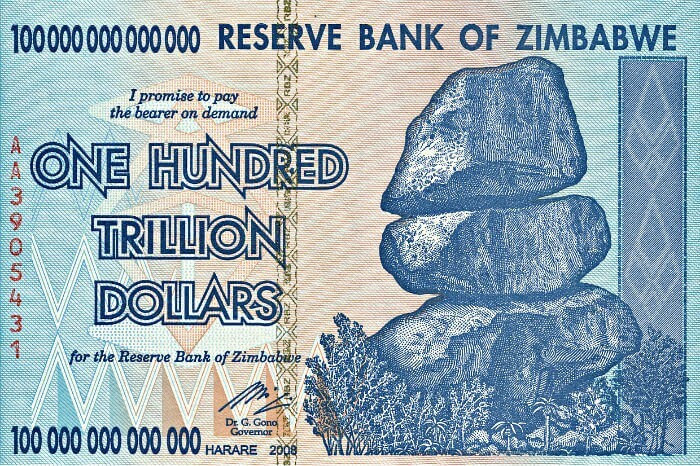 I promise to pay the bearer the sum of one hundred trillion Zimbabwean Bitcoins. Despite these obstacles, the future of money will quite possibly be one of currencies issued by communities rather than countries and with currencies such as Bitcoin using “Proof of Work” or “Proof of Stake” to issue new coins. We should not expect this new concept of money to take root overnight, it is a process which may take decades, but a change will happen, and that change, as it has been in the past, will be to a system that overcomes the limitations of its predecessors. Maybe this time towards a frictionless, open, permission-less, mobile and trustless system such as Bitcoin. Never in human history will money have undergone such a vast transformation.